Make this your most stylish year by tackling a few new trends—or taking on a whole new style. Whether you’re classic, preppy, casual or feminine, adding a little bit of toughness to any ensemble is easy with the right details. Here are a few quick tips to make your style edgier. 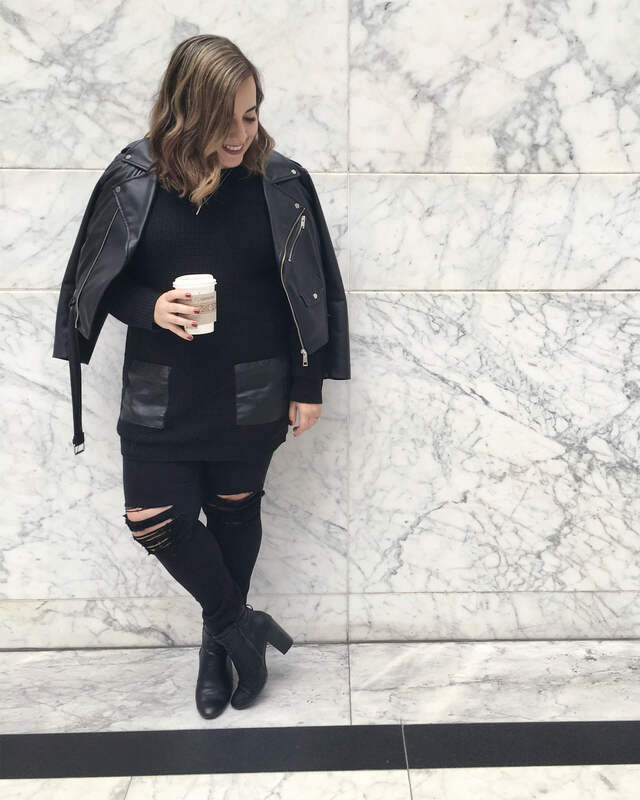 Whether suede, leather or faux, a motorcycle jacket is one wardrobe essential every edgy gal keeps in her arsenal. Toughen up your classic blouses, feminine dresses and basic tees with this cool-girl staple or swap out your blazer with a moto to take your work wardrobe from desk to dinner. Not ready to dive in head first? Look for tough-girl finishings like: collars, sleeve cuffs and playful panels in leather and suede. And, don’t forget about the details! Look for unexpected additions like zippers, metal hard ware and simple studs. It may sound counter-intuitive to buy clothing with holes but adding a few rips and perfectly-placed slits to your everyday wardrobe staples is a quick way to add edge. To try dipping your toes into this trend, try denim with a released or raw hem. Feeling edgy? Tell us how you edge-up your style in the comments below!